-"5 Simple Steps to Becoming a Reiki Master"
"Very knowledgeable about crime, prevention, defense and the law. Angie gave a sense of not feeling helpless and more empoyered to protect myself." - Sharon L.
"She is sincere about informing and empowering women on how to defend themselves." - Tameka S.
"Angie is extremely passionate and knowledgeable." - Leah M.
"Angie is very animated and knowledgeable. She is very enthusiastic about teaching." - Erika K.
"Angie is passionate, knowledgeable and personable." - Aylin T.
"Angie is very enthusiastic and friendly. She made the class very comfortable." - Tara L.
"Very Cool!" - Hina T.
We offer various self-defense-programs for the individual, employer, group, or organization to increase their awareness and reduce their risk of becoming a crime victim from simple Lunch & Learn sessions to extended self defense programs. 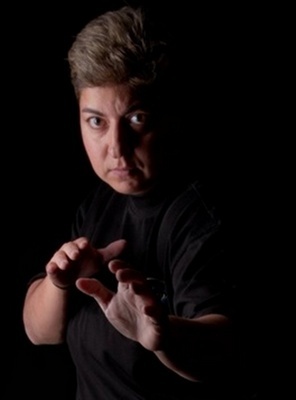 With the help of Women's Self-Defense Institute, women replace fear with skills, knowledge, training and confidence.